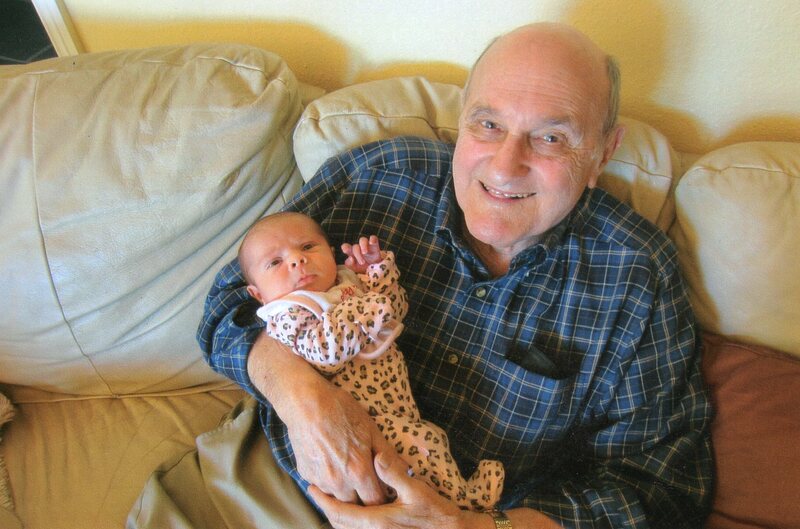 On Monday, October 5, my dad, William Dodge Flagg, passed away peacefully in his own bed in Huntington Beach, CA. He was 91. He only had one lung and had become pretty incoherent. It was time to go. Needless to say it was hard on my mom. They were married for more than 35 years. He is being cremated and there is no funeral. Which is fine with me but it really impresses on me what a white boy I really am. Can you imagine any Mexicano not having a big emotional funeral with lots and lots of familia and community? To say me and my familia are different is a bit of an understatement. Simply put they are hard-core Orange County Republicans. They were never very fond of how I lived my life but as time went on we got to be friends and they actually gave me money, just like they did my sister and brother. We both kind of learned to disagree with each other but at the same time withhold judgment. I’m not real proud of my roots. But my dad was a great water man and jock. He was a dedicated swimmer, surfer, and body surfer. He joined the San Onofre Surf Club after the Korean War, so that is where I spent a large part of my youth! What I appreciate more than anything is that he introduced me to my vocation in life: Warrior! He was a full bird colonel in the U.S. Marine Corps and that always impressed me, even to this day. I was blessed to have figured out that I didn’t have to fight for Gulf, Mobil, Exxon or United State Imperialism to fulfill my vocation in life. Instead I could emulate Fidel or Hugo Chavez or Cesar Chavez or even better become a true disciple in the Lords army, serving Jesus to bring the Kingdom here and now to this wretched earth. I want to use my dad’s memory (he was a very humble guy) to inspire transformation in me and revolution on this earth, starting with Tucson. And I know way down deep in my soul that this revolution is based in what Papa Francisco proclaimed in The Joy of the Gospel: “un revolucion de ternura,” a revolution of tenderness. En lunes, 5 de Octubre, mi papa, William Dodge Flagg, murió en paz en su cuarto en Huntington Beach, Califas. El tenia 91 años. El tenia solamente un pulmón y no recordaba muchas cosas. Estaba sufriendo mucho. Fue muy difícil para mi mama. Estuvieron casados por mas de 35 años. No hubo un funeral porque fue cremado. Lo que para mi esta bien pero lo que realmente me impresiona es el ‘white boy’ que soy. ¿Puedes imaginar a un Mexicano en un funeral sin ninguna emoción y sin toda la familia? Mi familia y yo somos diferentes. Ellos son muy Republicano. Nunca entendieron como vivía mi vida pero conforme el tiempo paso la relación mejoro y hoy en día ellos me apoyan con feria, como con mis hermanos. No estoy muy orgulloso de mis raíces. Pero mi papa fue un gran deportista acuático. El fue un nadador y surfeador muy dedicado. El perteneció al club de surfistas San Onofre después la guerra de Korea. Es donde pase parte de mi juventud. Mi papa influyo en mi vocación: ser guerrero. El fue un soldado de alto rango en la marina de los Estados Unidos y siempre me impresiono hasta el día de hoy. Soy bendecido que aprendí que puedo ser un guerrero sin pelear por los interés de corporaciones malvadas e imperialismo de los Estados Unidos. Prefiero inspirarme en el liderazgo de Fidel, Hugo Chavez, Cesar Chavez o aun mejor el ejercito de Jesucristo. Quiero inspirarme en memoria de mi papa para transformar mi vida y nuestra sociedad, empezando con Tucson. I know from experience that when a parent passes away that it leaves a big hole in one’s heart and although one may not agree with one’s parent/parents that there is still a love that binds long after death. the differences of opinion and life styles. Blessings to you for finding your vocation in life as the ripple effect you pass on to all those whom you touch is really what life is really all about. Love of course is contagious, Thank God! memory serve as a blessing.